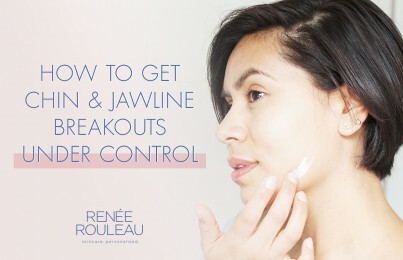 Get Control Of Cystic Acne Before It Scars Your Skin! What is cystic acne? 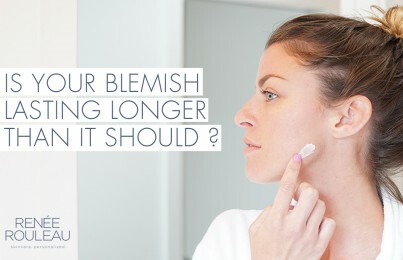 Hard, painful blemishes that develop deep within the skin, often appear on the chin or jawline and can linger for weeks. The best way to determine if your acne cysts are directly related to your intake of dairy is to completely cut dairy out of your diet for two weeks. If you don’t develop any new cysts and you normally would have by now, then this might solve your problem! It doesn’t mean that you cannot eat any dairy at all. Slowly introduce dairy back into your diet, and if you start breaking out again, that’s your body’s tolerance level. Treat the cyst immediately. 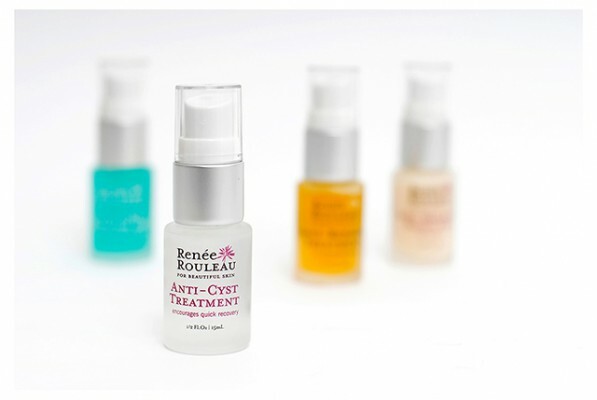 Dab on Renée Rouleau Anti-Cyst Treatment as soon as the cyst forms and it will dramatically reduce the infection and cut the healing time, at least by half. The longer the cyst has time to develop, the more you’ll increase your chances of scarring the skin. You need to put the fire out—fast! Apply ice to reduce inflammation. If you don’t have a bottle of our Anti-Cyst Treatment, applying ice to the cyst can help take down swelling to reduce soreness. Prevent cysts from appearing. Our amazing Anti-Cyst Treatment can also be used to prevent new cysts from forming. When used twice a week on areas prone to cysts, you may find they won’t show up at all! How to use: Perform your regular night time routine and then using a damp tissue, wipe the area clean where you are prone to getting cysts. Apply a thin coat of Anti-Cyst Treatment to the area and let dry. This can be used every night for severe cases (those who get new cysts appearing daily), but if you’re only getting them occasionally (once a week), twice a week should do the trick. If you’re prone to getting them during your cycle, use it three days before. Optional: Get a cortisone shot. It can certainly work well, but who has the time to wait around at a doctor’s office? Plus, some people can experience injection atrophy, where the skin indents from the cortisone and can take up to 9 months to naturally fill back in. I just got this product for my monthly cyst I get around that time of the month…Is it OK to put my usual makeup on after anti-cyst treatment? If so how long should I wait before applying makeup? Yes, you can apply makeup over it, but let it dry for a few minutes first.